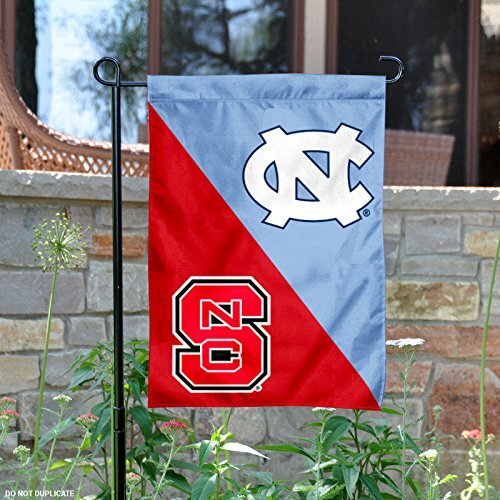 Show everyone that your house is divided by die-hard fans of these two rivals by hanging up this two-sided Collegiate premium 2-sided garden flag. This 13-inch x 18-inch flag is made of durable, heavy-duty 150-denier polyester and has a 1" pole sleeve so it is easy to hang. The officially licensed banner is brightly decorated in the teams colors and proudly displays the official team graphics on both sides. The flag also includes a free plastic pole w/ suction cups for hanging in a window. The #11213 metal garden pole is sold separately. 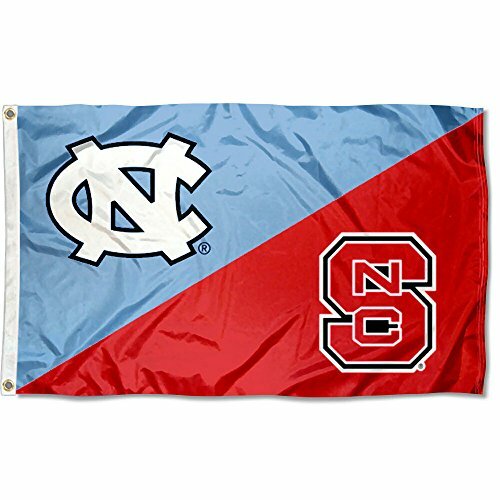 This UNC vs. North Carolina State House Divided 3x5 Flag measures 3' x 5' in size, has Quadruple Stitched flyends, is made of durable single-ply Polyester, and has two Metal Grommets for attaching to your flagpole or tailgating pole. 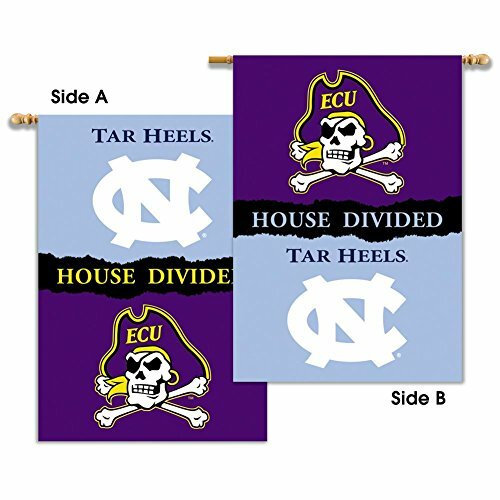 These House Divided Flags are NCAA Officially Licensed and the Screen Printed logos are Viewable on Both Sides (Opposite Side is a Reverse Image). House Divided, either by husband or wife or siblings, these flags evenly represent both colleges, helping to keep peace in the home. Our applique flags are hand-crafted from soft, high-quality nylon fabric. 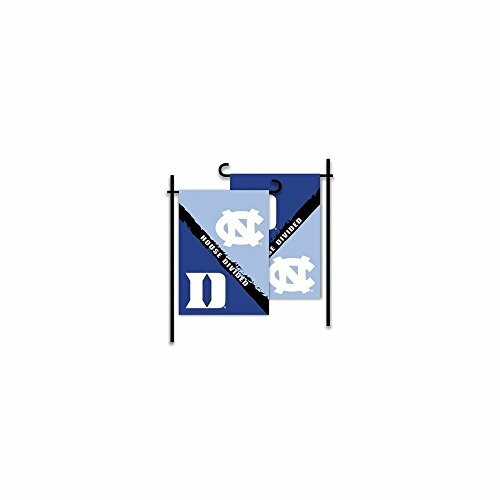 The University of North Carolina and North Carolina State University logos are faithfully represented in fade-resistant colors with tight detailed stitching. Each logo is centered in the colors of the diagonally split flag. Double-sided, each logo gets its glory in the top position. A certified collegiate-licensed product. This convenient garden size offers many options for decorating your home or garden. Flag pole and other accessories are not included. House Divided, either by husband or wife or siblings, these flags evenly represent both colleges, helping to keep peace in the home. Greet your friends and family as a true fan! Show your pride! These handcrafted decorative mailbox covers are created with a soft, high quality 310 denier 100% nylon fabric that rates sun proof 4 or above so it won't fade. Adjustable fastener strips are provided to fit the exact size of your standard mailbox. Be a fan with pride. 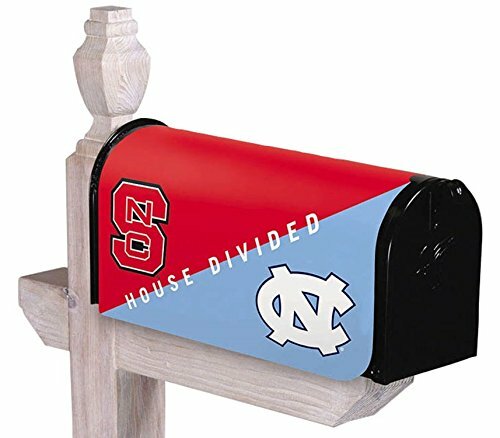 The University of North Carolina and North Carolina State University logos are faithfully represented in fade-resistant colors. Each logo is centered in the colors of the diagonally split mailbox cover. A certified collegiate-licensed product. 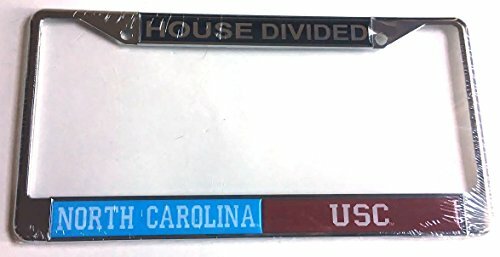 Tarheels two-sided house divided banner. This College premium flag measures 28'' x 40''. This banner is lined for clear visibility from both sides. Made of heavy-duty 150 denier Polyester and has a 1.5'' pole sleeve for display. This double-sided house flag reads correctly from both sides. Image shows front and back of flag, not two flags. 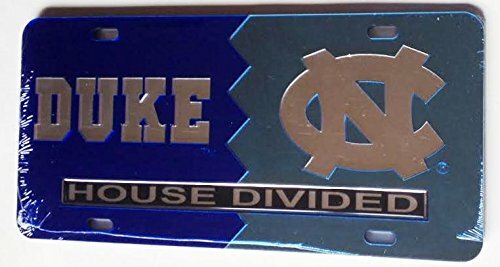 Perfect gift for any sports divided house or for the big rivalry game! 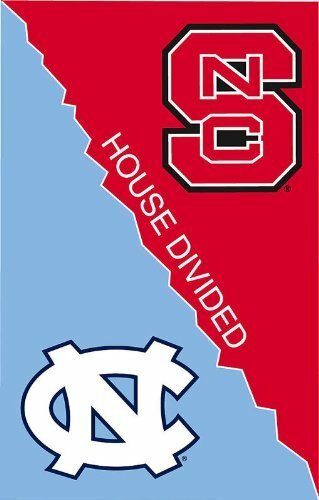 Compare prices on Unc House Divided at LiveSaler.com – use promo codes and coupons for best offers and deals. We work hard to get you amazing deals and collect all avail hot offers online and represent it in one place for the customers. Now our visitors can leverage benefits of big brands and heavy discounts available for that day and for famous brands. We try to makes comparison shopping easy with Product Reviews, Merchant Ratings, Deal Alerts & Coupons. Find Deals, Compare Prices, Read Reviews & Save Money.